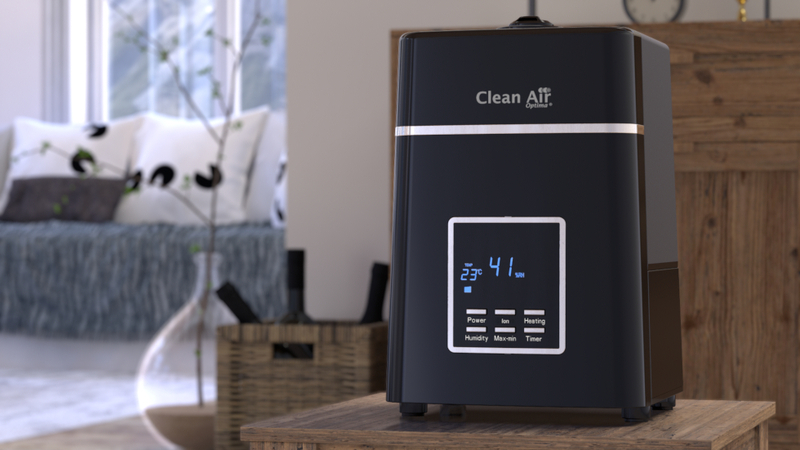 The Clean Air Optima humidifier with ionizer CA-604 is a silent, energy-efficient tool for keeping the indoor air humidity at the optimum level. 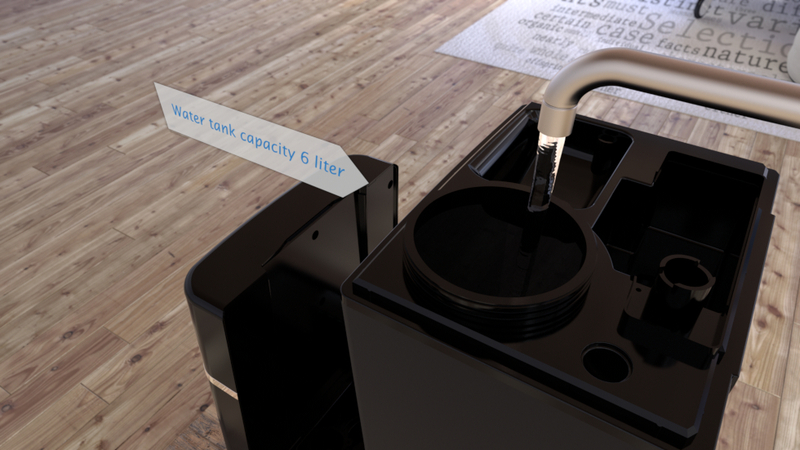 The humidifier is usable for rooms up to 590ft² (55m² / 140m³). 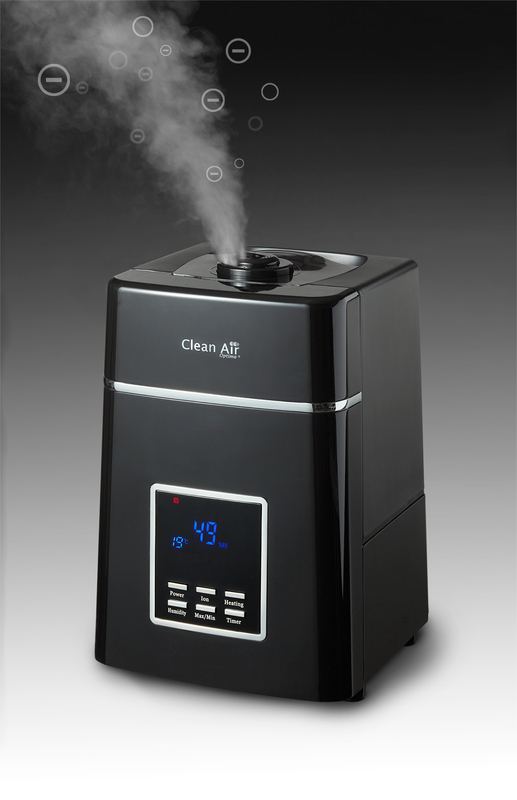 The ultrasonic technique turns water into micro-fine mist which humidifies the air with either warm or cold fogging. 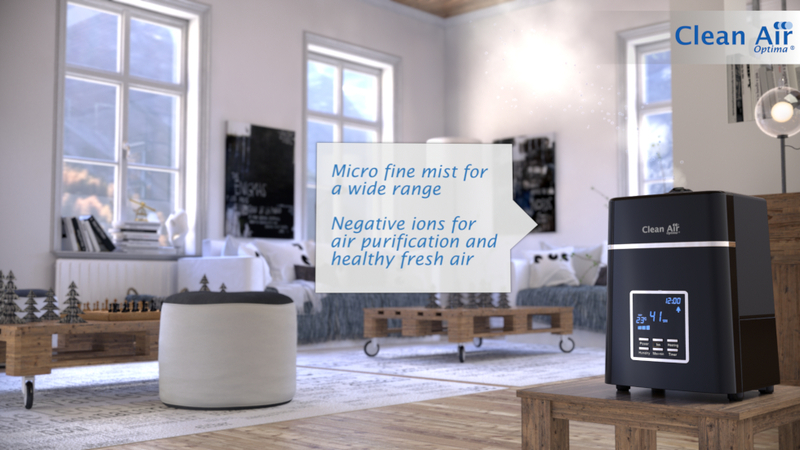 With the help of the integrated ionizer, negative oxygen ions which support the air purification are produced. 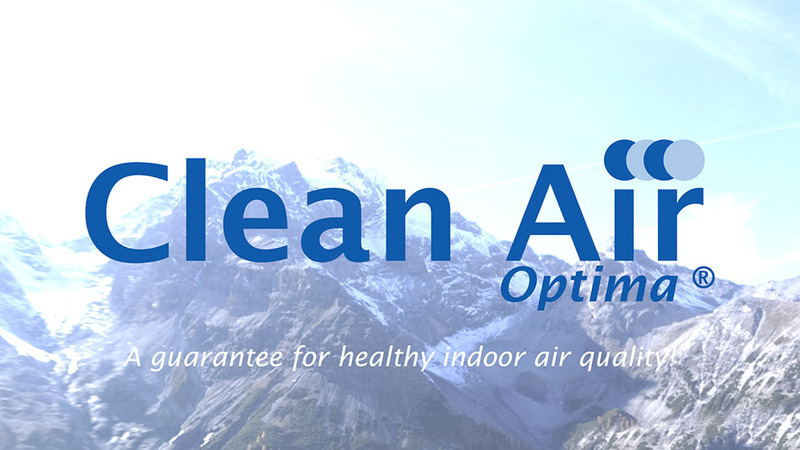 Fresh and optimally humidified indoor air prevents respiratory irritation and dry skin. Your skin will be protected and provided with adequate moisture. 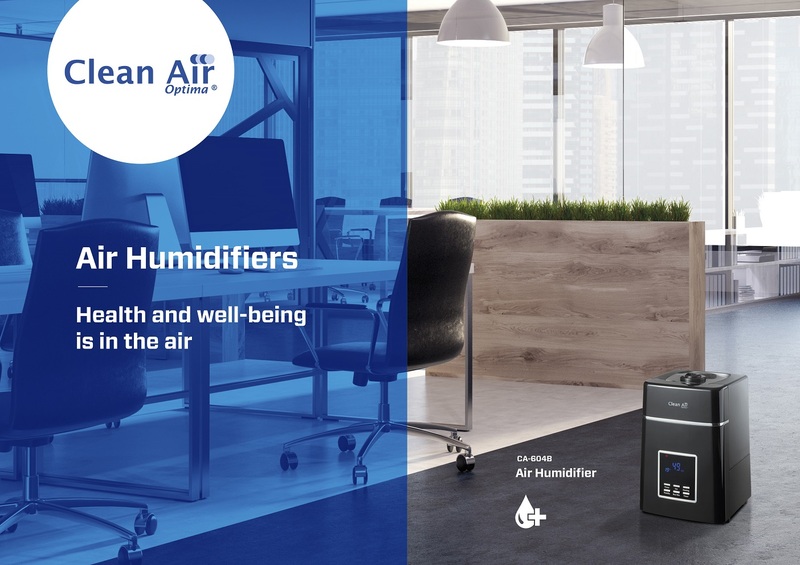 Especially during times with low air humidity, such as during the times when central heating is necessary in the winter and the dry summer months, the humidity in enclosed spaces decreases, causing problems for the people inhabiting the rooms. 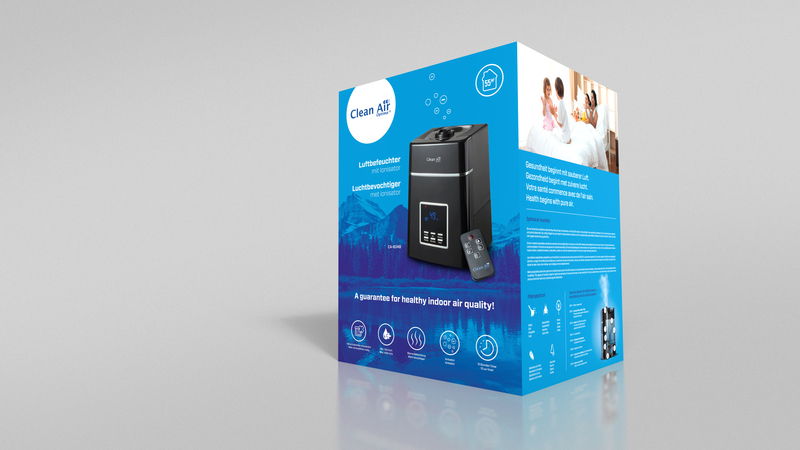 The silent, energy-efficient and sustainable Clean Air Optima humidifier CA-604 is suitable for use in small and medium sized spaces such as living rooms, bedrooms, nurseries, offices, treatment rooms, waiting rooms etc. 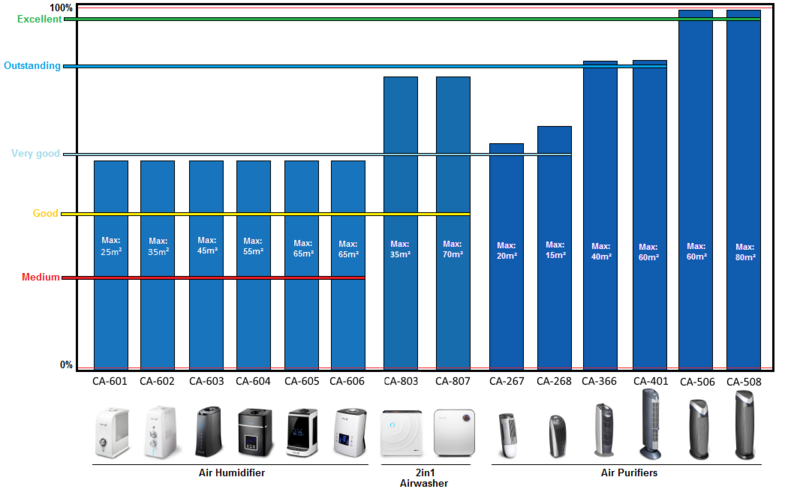 The relative air humidity can be decreased by heating or the use of air-conditioning systems. Hence during the winter season and warm summers the relative air humidity drops below the optimum of 55%. Low humidity is unhealthy for humans and animals and can damage valuable property, furniture, and interior plants. Low humidity can cause dry skin, dry mucous membranes, dry eyes, dry nose and throat complaints. 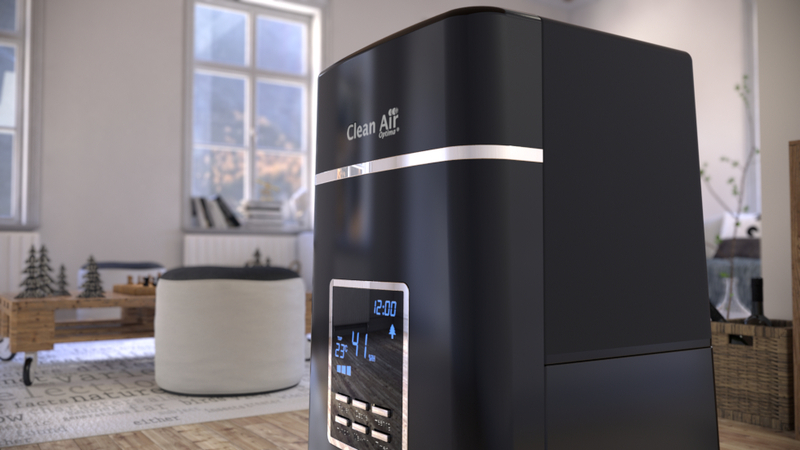 Allergy patients have noticed a reduction in complaints, better sleeping comfort and a general increase of the quality of life if the air humidity is at the correct level. • Ideal for the living room, office, conference - a conference room, treatment room, etc. This silent humidifier provides an effective improvement of air quality in enclosed spaces and increases well-being. 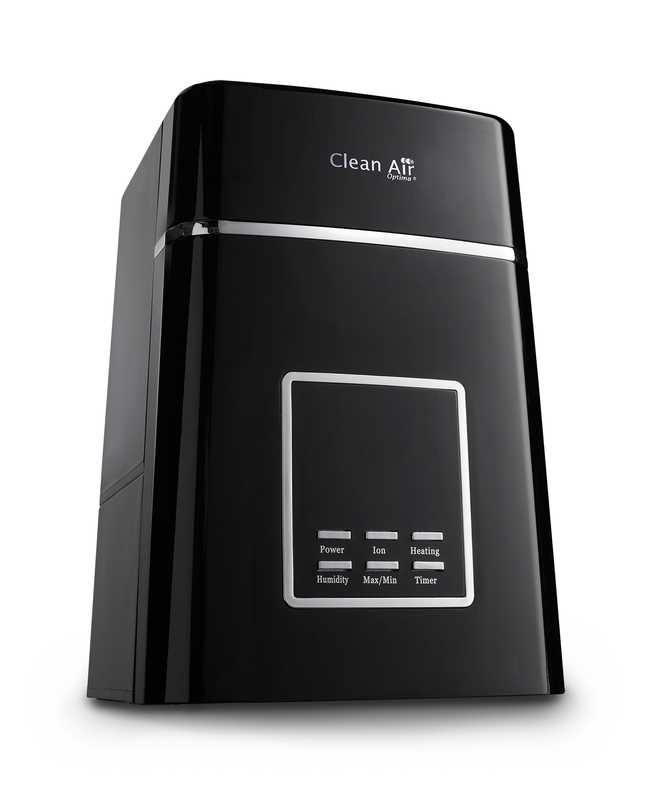 Dry indoor air reduces concentration and makes people susceptible to flu and other cold symptoms. 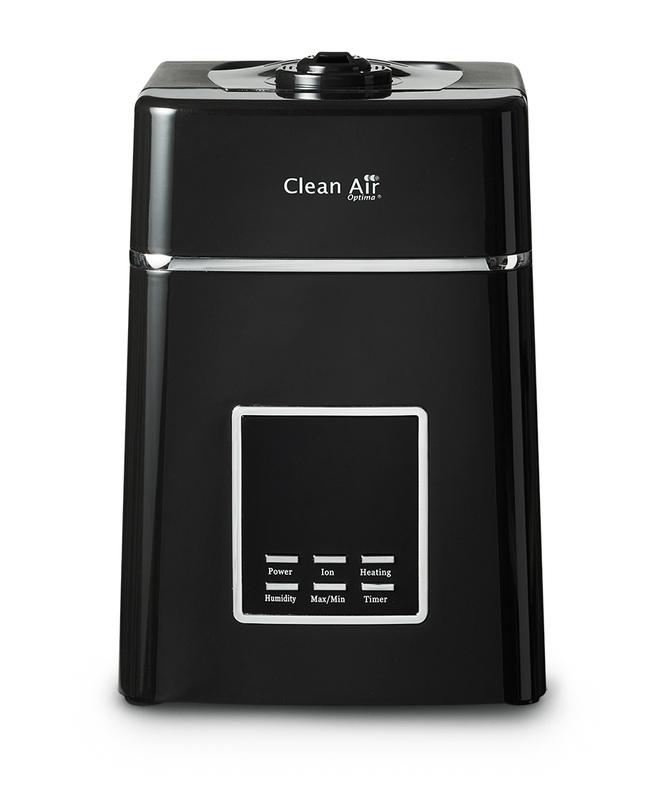 The ionizer with extra cleaning setting refreshes the indoor air. Proper humidity is important for the health of humans and animals. Dehydration can be very damaging to plants, furniture, parquet floors and antiques. 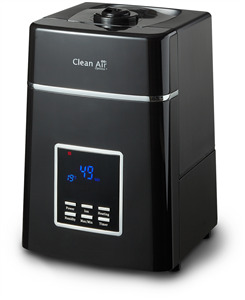 Through the combined use of ultrasonic humidification and ionization air cleaning technology in one device the Clean Air Optima humidifier CA-604 is one of the most effective humidifiers. 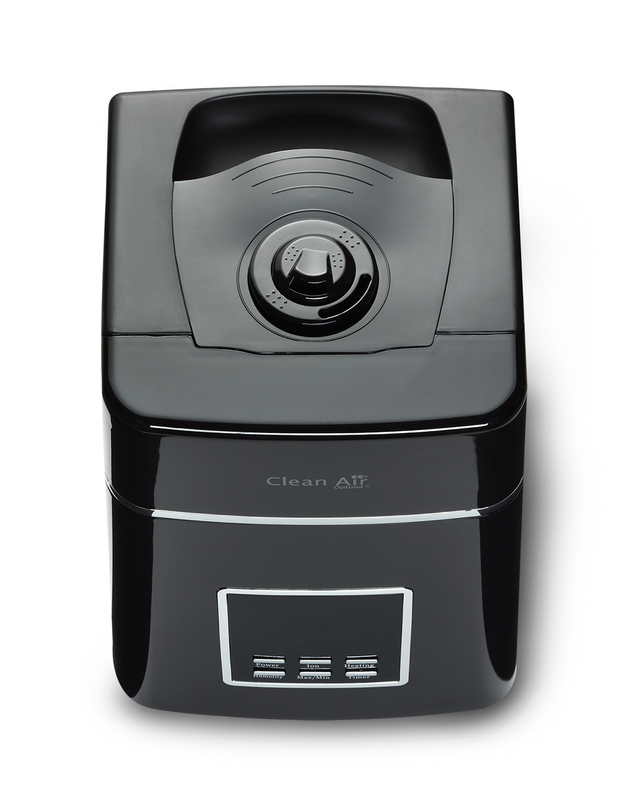 The portable humidifier Clean Air Optima CA-604 is designed for professional use by businesses, organizations, institutions, health care and education. Many companies benefit from the improved working conditions. Complaints from the staff about headaches, dry eyes, respiratory irritations, fatigue and the risk of infection with flu and colds are significantly reduced. With its effective ultrasonic humidification technology with cold and warm fogging, the silent operation, the stunning design in either black or white, and the high level of safety, this humidifier is suitable to be used in any interior: living room, bedroom, office, showroom, meeting - and conference room, treatment room, doctor’s surgery, nursing home, nursery, classroom, training center, restaurant, etc. Suitable for small and larger spaces up to approx. 590ft² (55m² / 140m³). Suitable in residential, office, company, treatment room, waiting room, showroom, office etc. The Clean Air Optima ultrasonic humidifier CA-604 works without chemical additives. Harmful particles, bacteria and viruses are largely eliminated by the high-frequency vibrations of the transducer. 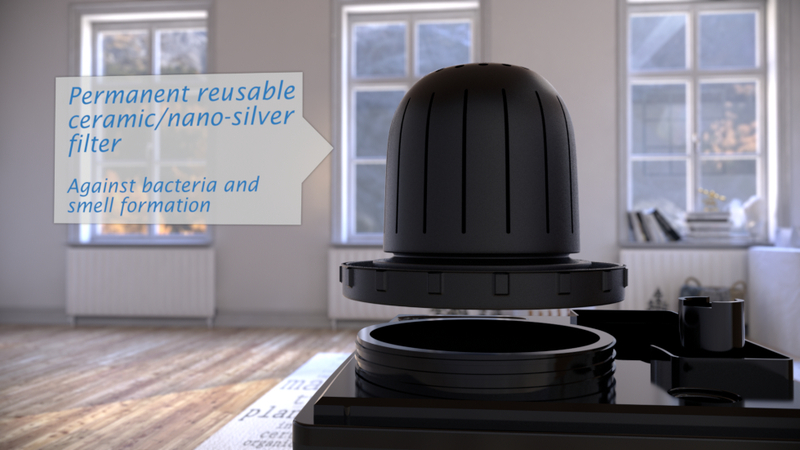 The material of the air humidifier that comes in contact with water is treated with nano - silver that has an additional property of being able to kill bacteria and nullify odors in the water. 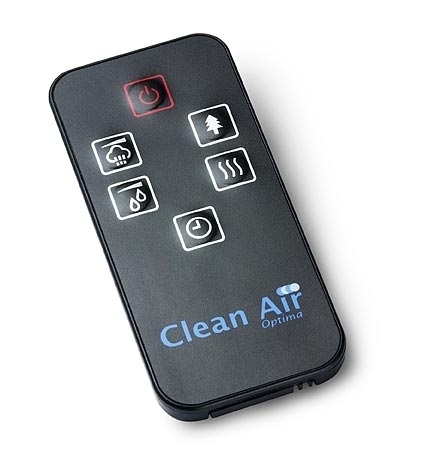 The advanced Clean Air Optima humidifier CA-604 is equipped with a remote control and buttons for manual use. 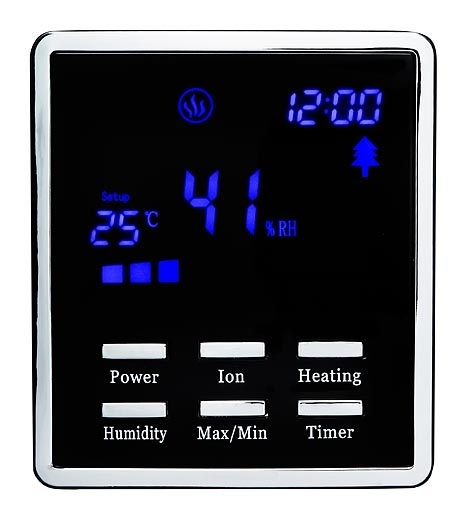 It has a beautiful, clear backlit LCD display and is easy to maintain. 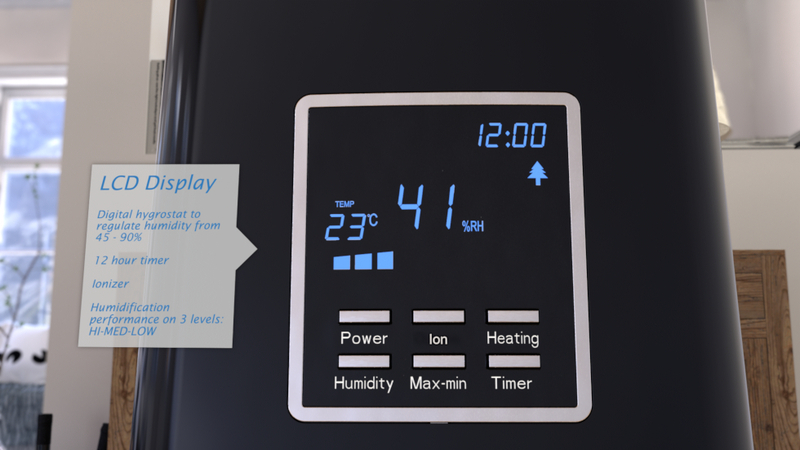 The integrated security system has light and sound alarms when the water tank is empty and switches off automatically. Fogging can be varied and selected as desired. 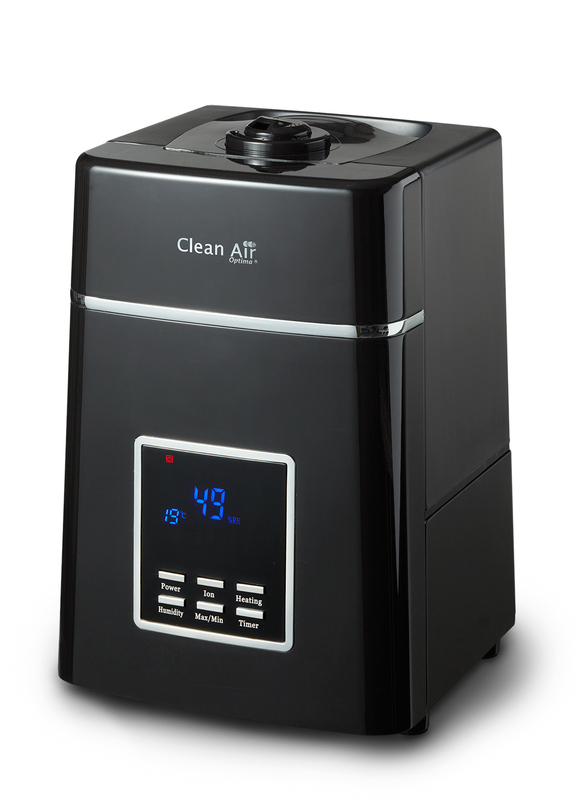 This new humidifier CA-604 is ideal for use in the home, office and industrial, office, meeting room, treatment room etc. 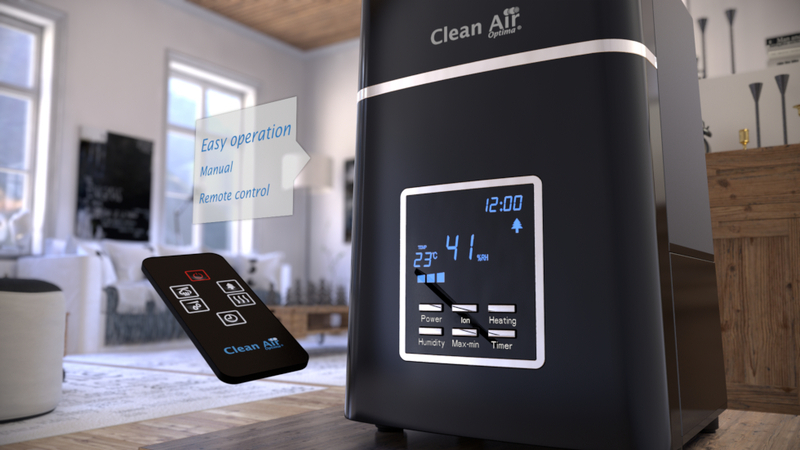 The Clean Air Optima humidifier combines two technologies in one: ultrasonic humidification and ionization air cleaning technology. The Clean Air Optima humidifier CA-604 with remote control is more comfortable and more effective than ordinary humidifiers. The ultrasonic humidifier Clean Air Optima CA-604 is suitable for professional use. • Clean the transducer, water tank and basin every week. • Change the water in the tank more often to keep cool. • When it is not in use all parts should be cleaned and well dried. Zijn zeer tevreden, gebruiken het iedere dag. Het toestel is zeer eenvoudig te bedienen vooral met de bijgeleverde afstandsbediening. Werkt perfect. Houdt de luchtvochtigheid keurig op peil en slaat automatisch af en aan. Wordt iedere dag gebruikt. We hebben dit apparaat nu ruim een half jaar. Het werkt uitstekend. Het bijvullen gaat ook prima als je het rustig doet, en vast is vast. Onze RH is constant 55 RH. Mijn vrouw had last van veel niesen en hoesten vanwege de droge lucht en is daar nu vanaf. We doen regelmatig het water van de droger erin = minder kalkaanslag. Het toestel werkt goed maar maakt meer lawaai dan de CA-603. Dat vind ik wel super jammer! Ook nog steeds het bijvullen onderaan de tank waardoor water spil onvermijdelijk is.